A Lion Air plane with 189 people aboard crashes into the sea just minutes after taking off from Indonesia's capital, and an official from the agency responsible for search and rescue says it's unlikely anyone survived the crash. A Lion Air plane carrying 189 people crashed into the Java Sea just minutes after taking off from Indonesia's capital on Monday in a blow to the country's aviation safety record after the lifting of bans on its airlines by the European Union and U.S.
A search and rescue agency official said it is not expected that anyone survived the crash. 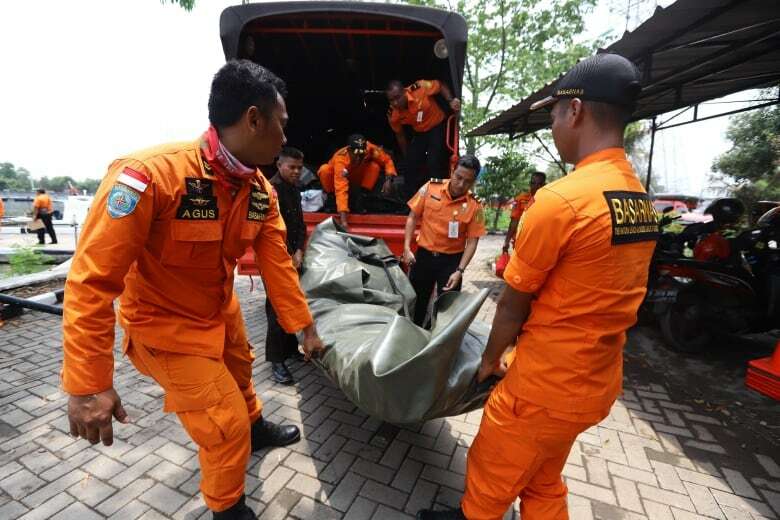 The operations director at the agency, Bambang Suryo Aji, said the search effort is focusing on finding bodies. He said six body bags have been used so far. Aji said the location of the plane hull hasn't been identified. President Joko Widodo ordered the transport safety commission to investigate and had earlier urged Indonesians to "keep on praying" for possible survivors. A transport official said the flight requested to return shortly after takeoff from Jakarta. Weather conditions were normal but the brand new aircraft had experienced a technical issue on its previous flight. Lion Air said the jet was en route to Pangkal Pinang, on an island chain off Sumatra. The plane was carrying 181 passengers, including one child and two babies, and eight crew members. The flight usually takes one hour, 10 minutes. 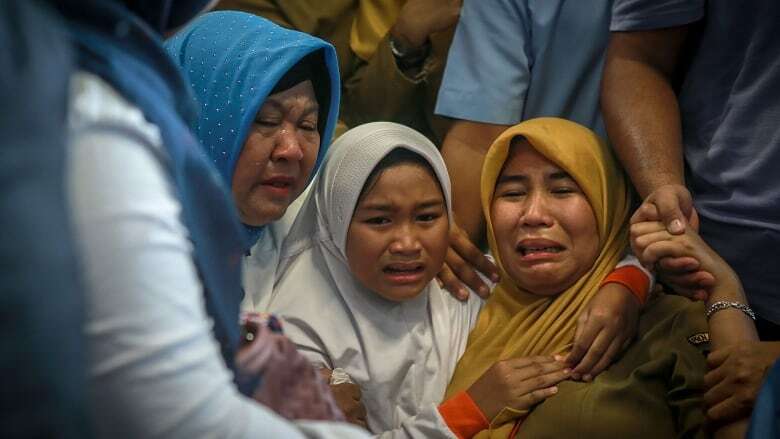 Distraught friends and relatives prayed and hugged each other as they waited at Pangkal Pinang's airport and at a crisis centre set up at Jakarta's airport. Indonesian TV broadcast pictures of a fuel slick and debris field in the ocean. 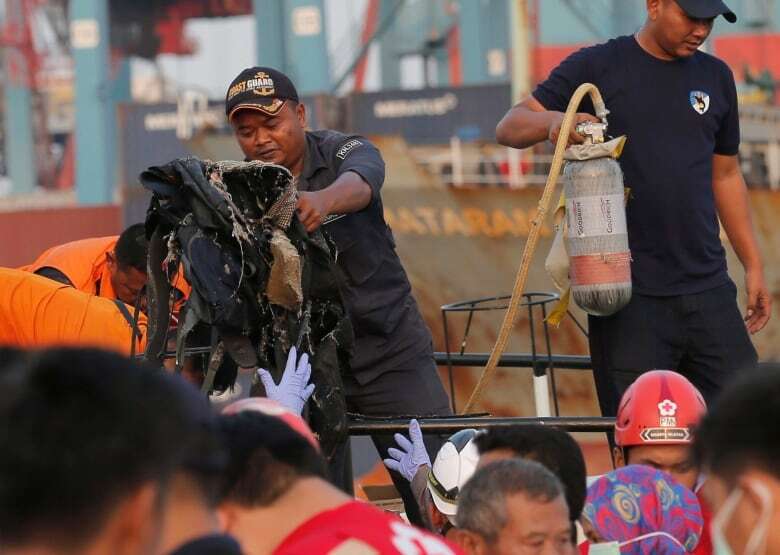 The National Search and Rescue Agency's deputy chief, Nugroho Budi Wiryanto, said about 300 people, including soldiers, police and local fishermen, were involved in the search — only ID cards, personal belongings and aircraft debris had been found. "We are waiting for the miracle from God," said Wiryanto, when asked if there was any hope of survivors. It's believed the majority aboard were Indonesian, while pilot Bhavye Suneja was from India. After receiving friends and relatives who rushed to their New Delhi home upon hearing news of the crash, Suneja's parents left for New Delhi's airport to board a flight to Jakarta. 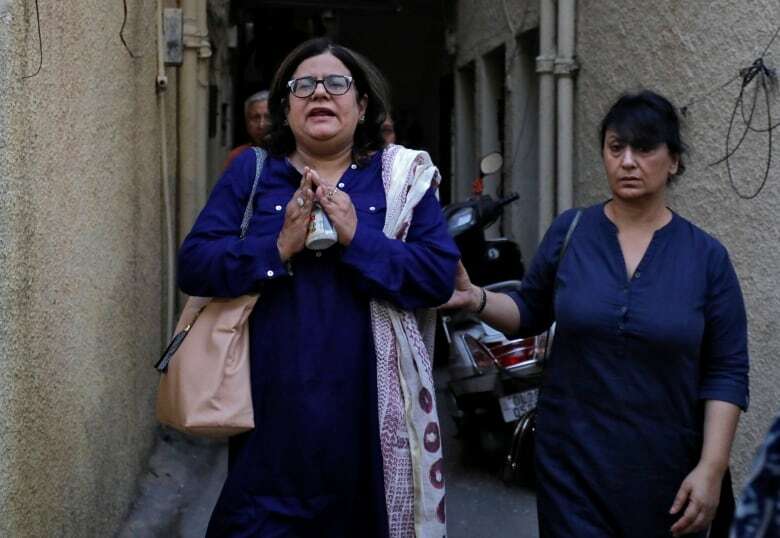 "We are here to find any information about my younger sister, her fiancé, her in-law-to-be and a friend of them," said Feni. The search-and-rescue agency said the flight ended in waters off West Java that are 30 to 35 metres deep. The search is planned to last seven days and could be extended. The Boeing 737 Max 8 was delivered to Lion Air in mid-August and put in use within days, according to aviation website Flightradar24. Malindo Air, a Malaysian subsidiary of Jakarta-based Lion Air, was the first airline to begin using the 737 Max 8 last year. The Max 8 replaced the similar 800 in the Chicago-based plane maker's product line. 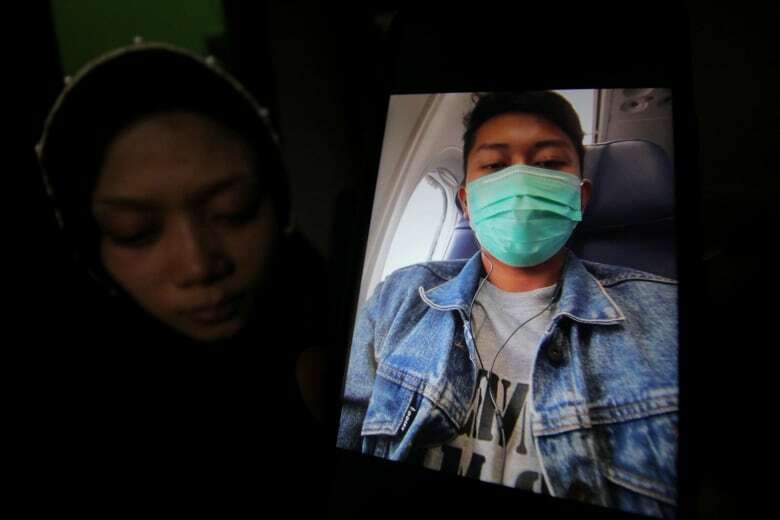 The airline's president-director Edward Sirait said the plane had a "technical problem" on its previous flight from Bali to Jakarta but it had been fully remedied. He didn't know specifics of the problem when asked in a TV interview. The pilot of Flight 610 had more than 6,000 flying hours while the co-pilot had more than 5,000 hours, according to the airline. 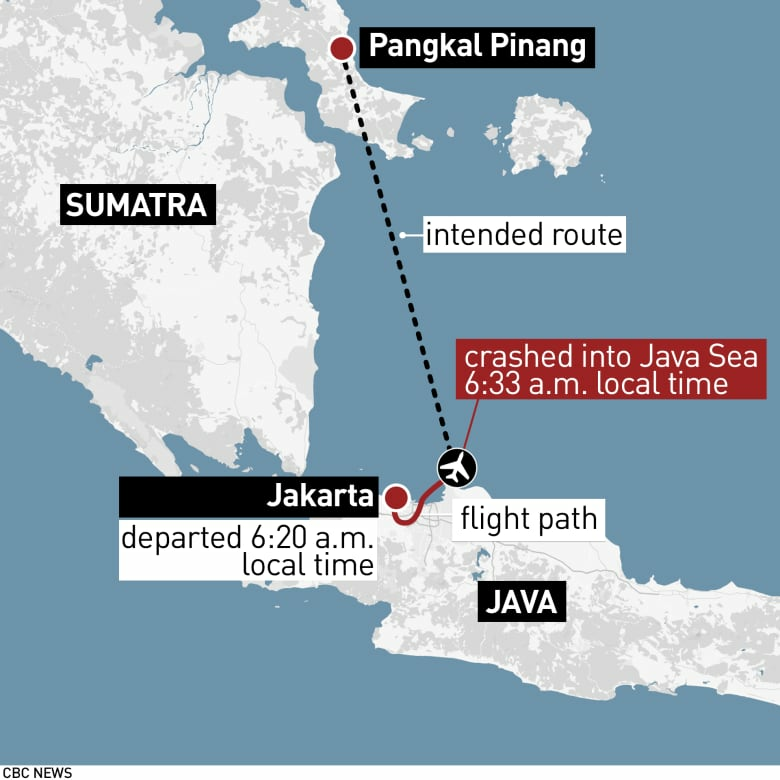 The Transport Ministry said the plane took off from Jakarta at about 6:20 a.m. local time and crashed just 13 minutes later. Data from FlightAware showed it had reached an altitude of 1,580 metres. The crash is the worst airline disaster in Indonesia since an AirAsia flight from Surabaya to Singapore plunged into the sea in December 2014, killing all 162 aboard. Indonesian airlines were barred in 2007 from flying to Europe because of safety concerns, though several were allowed to resume services in the following decade. The ban was completely lifted in June this year. The U.S. lifted a decade-long ban in 2016. But a spokesperson for the European Commission said Monday it has no immediate plans to ban Lion Air. Enrico Brivio said Monday there "have been no indications that the safety levels at Lion Air or the safety oversight in Indonesia" were deteriorating. Brivio said the commission will analyze the results of the investigation into Monday's crash. Australia's Foreign Affairs Ministry, meanwhile, said Australian government officials and contractors "have been instructed not to fly on Lion Air or their subsidiary airlines" following Monday's Lion Air crash. In a statement, the manufacturer expressed its concern for the 189 people onboard and offered "heartfelt sympathies to their families and loved ones." Chinese company CMIG Leasing also said it was saddened by the accident and was in close contact with Boeing and Lion air. The official China News Service said the company — its full name is China Minsheng Investment Group Leasing Holdings Ltd. — owned the plane and leased it to Lion Air.